Bill Ritter has more on how the family found the little dog. STATEN ISLAND, New York -- A neglected and abused dog was found in a dumpster wrapped in a garbage bag on Staten Island. A family walking around the Charleston section Wednesday night say they heard barking coming from the dumpster. They decided to investigate what the noise was and realized it was a little pooch officials now call "Barker." The family says they immediately called police who took the dog to a vet. "We're pulling out the debris and then realizing that it was fur, and then realizing that it was a dog, and it kills you," said Sandra D'Auria, who found the dog. "My heart just kind of skipped a beat. I was in shock. You know, I've heard of animal cruelty before but I've never seen it firsthand." 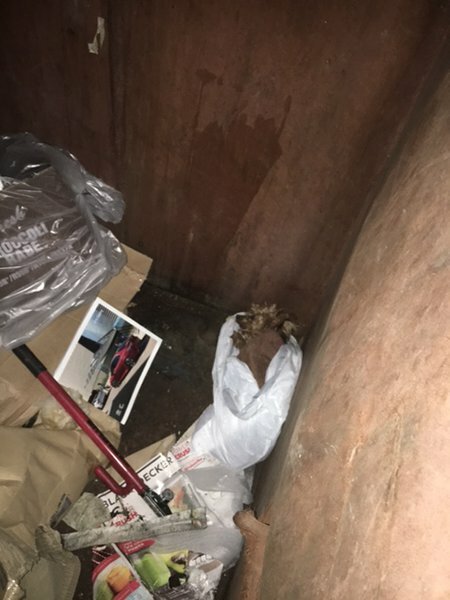 It is unknown how long the little dog was in the dumpster, but officials say it has several broken bones. The ASPCA along with the NYPD Animal Cruelty Unit is investigating.